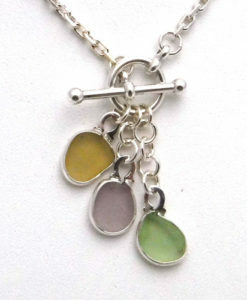 This necklace will make the perfect gift for the sea glass lover. 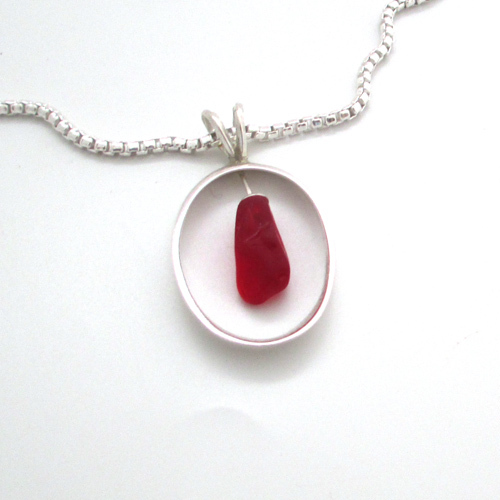 Red sea glass is considered the “holy grail” of sea glass finds. 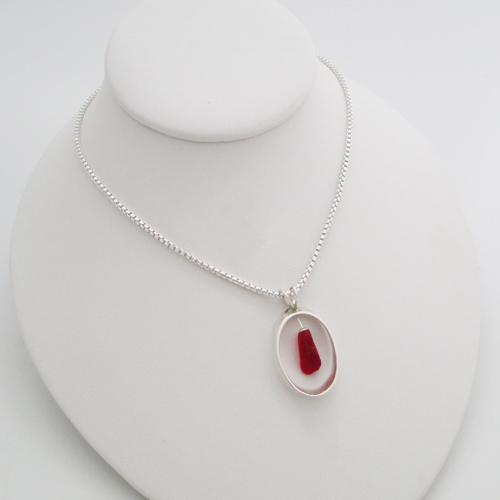 This beautiful piece of red sea glass came from Northeast England. Bruce set the sea glass in a sterling silver bezel which we call our “free fall”. In sunlight the bezel directs the light to the sea glass showing its brilliance. The bezel measures approximately 1 1/4 inches long and 3/4 inch wide. 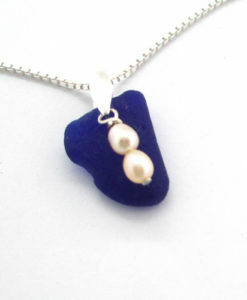 The necklace comes with a choice of a 16″, 18″, or 20″ 2 mm sterling silver snake chain. The pendant can be purchased without the chain for $100. 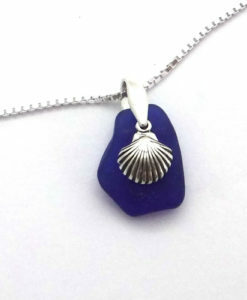 Sea Glass Designs has been a professional jewelry company for over 13 years. All of our jewelry is expertly crafted in our studio. Only quality materials are used in our jewelry. 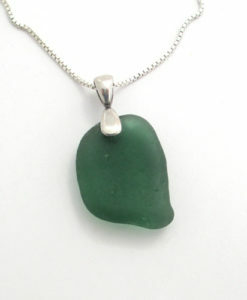 We guarantee all of our sea glass is authentic beach glass that has not been altered. It is left just as it was found it on the beach. 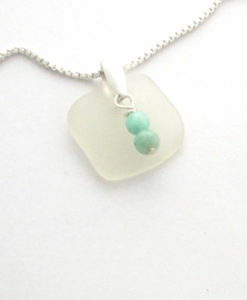 View more sea glass necklaces here. 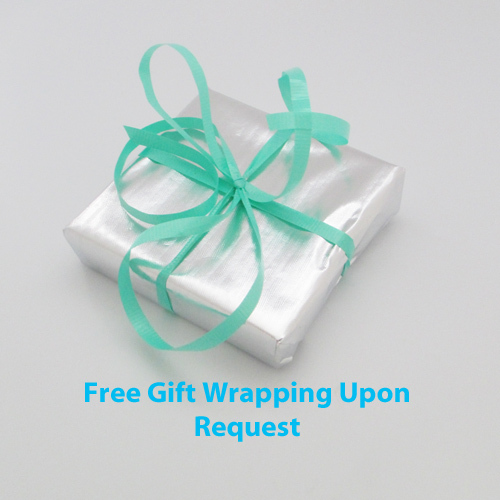 Please feel free to contact us if you have any questions on our jewelry.